The new SNES-themed 3DS XL variant was first announced at Gamescom back in August of this year. At the time, the New Nintendo 3DS XL Super Nintendo Entertainment System Edition (full name) was limited to Japan, and was set to release in Europe on October 13th. However, there was no word as to whether or not a North American release was in the works. Recently, Twitter user Wario64 spotted the SNES-themed 3DS XL on Amazon’s U.S. website with a North American release date of November 27th. 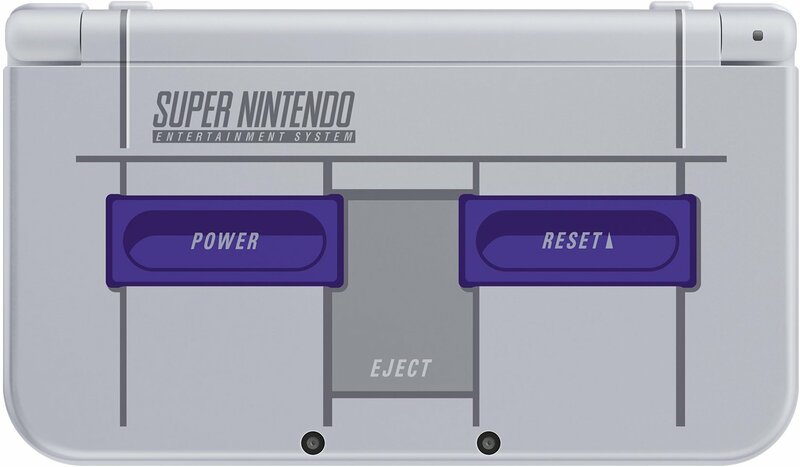 This comes as a surprise to many, as there has been no official announcement regarding the North American release of the SNES-themed 3DS XL. Despite this, the SNES 3DS XL appears to be selling for $199.99 with Amazon currently accepting pre-orders. Meanwhile, Nintendo has yet to address the arrival of the SNES 3DS XL on Amazon. What do you think of the SNES 3DS XL’s mysteriously appearing on Amazon? Do you plan to pre-order one? Let us know your thoughts in the comments down below!